As the film Spectre takes Bond fever to a new level, a resident at a Great Yarmouth care home is proud of his own part in the 007 story. 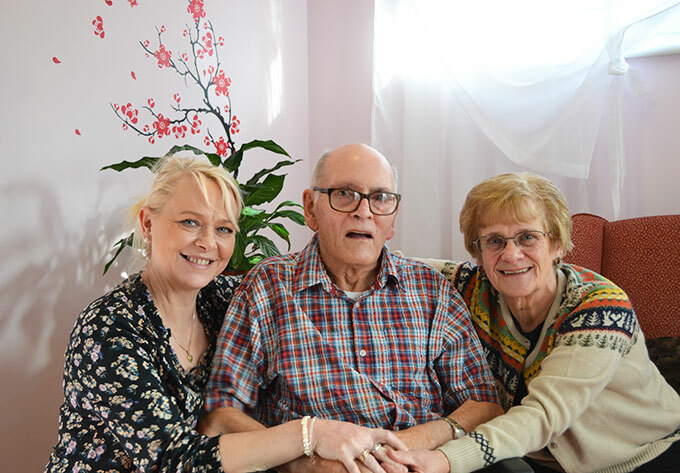 With the Daniel Craig blockbuster continuing to smash box office records, Len Ordway, 75, has spoken about his spy movie secrets to staff and fellow residents at Eversley nursing home, in North Denes Road. The retired fabrication engineer was working at the firm OSEL on the Harfreys Industrial Estate in 1980 when he was part of the team which built a mini submarine, the Mantis, used in the Roger Moore 007 film, For Your Eyes Only. They are sister care homes in more than one sense. 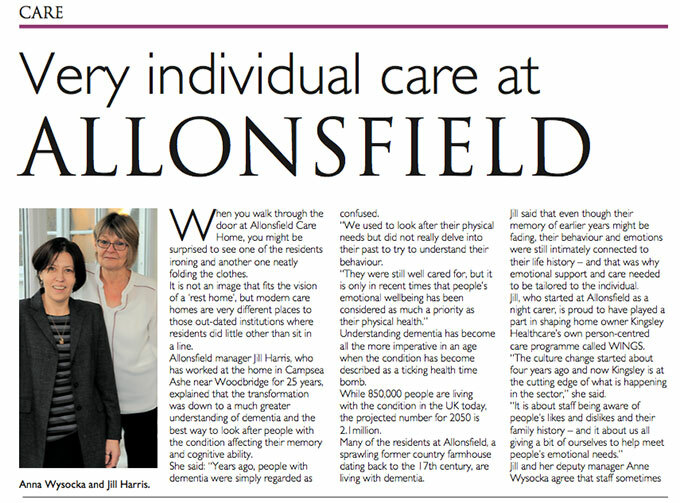 Oaklands in Scole, near Diss and Yaxley House, in nearby Yaxley, are both run by Kingsley Healthcare – and by identical twin sisters. 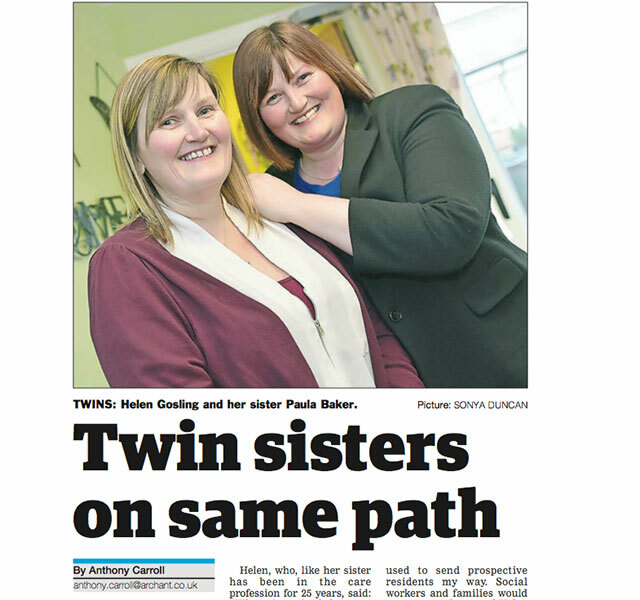 The resemblance of Oaklands manager Helen Gosling to her 40-year-old twin Paula Baker, in charge at Yaxley, has caused more than the odd moment of bewilderment to families and health professionals visiting both homes, which are less than five miles apart. When you walk through the door at Allonsfield Care Home, you might be surprised to see one of the residents ironing and another one neatly folding the clothes. It is not an image that fits the vision of a ‘rest home’, but modern care homes are very different places to those out-dated institutions where residents did little other than sit in a line. When you walk through the door at Oaklands care home you might be surprised to see residents dusting, mopping the floor or helping in the kitchen. 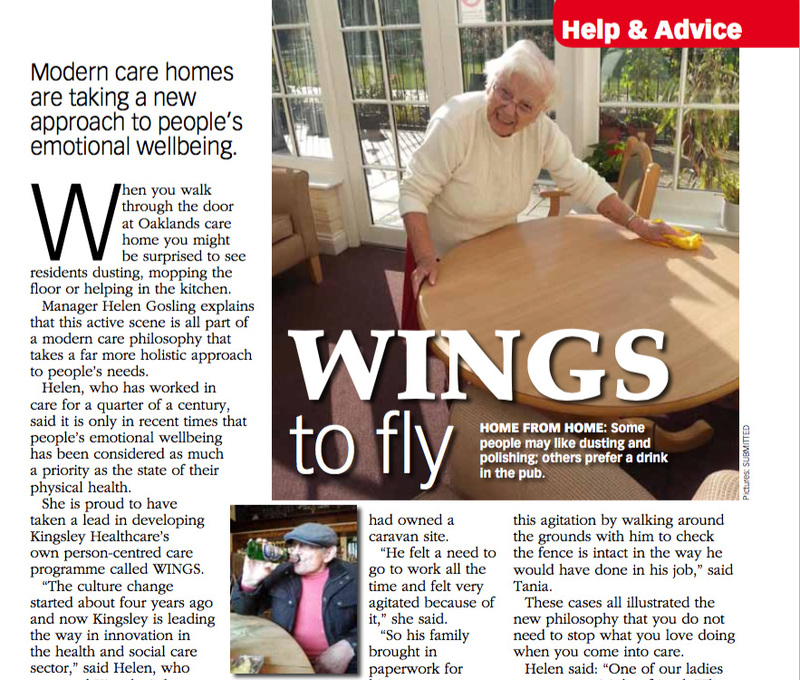 Manager Helen Gosling explains that this active scene is all part of a modern care philosophy that takes a far more holistic approach to people’s needs. 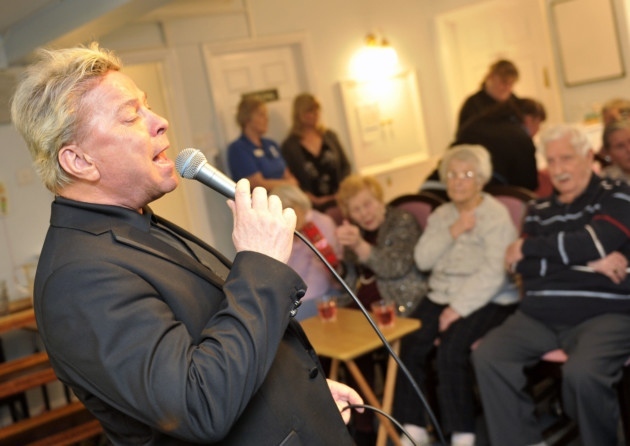 David Van Day and his wife Sue Moxley perform at Woodbridge Lodge care home on Mother's Day. Dozens of residents and their families were entertained by the celebrity couple.